Multiparametric magnetic resonance imaging (MRI) in conjunction with MRI–transrectal ultrasound (TRUS) fusion-guided biopsies have improved the detection of prostate cancer.The researchers from the University of Alabama at Birmingham, University of Chicago, and National Cancer Institute conducted a multi-institutiona cohort study to determine whether an MRI-based prediction model can reduce unnecessary biopsies in patients with suspected prostate cancer. The investigators found that the inclusion of MRI-derived parameters in a risk model could reduce the number of unnecessary biopsies while maintaining a high rate of diagnosis of clinically significant prostate cancers.The study has been published in JAMA Oncology. In the study, the patients underwent MRI, MRI-TRUS fusion-guided biopsy, and 12-core systematic biopsy in 1 session. The development cohort used to derive the prediction model consisted of 400 patients from 1 institution enrolled between May 14, 2015, and August 31, 2016, and the validation cohort included 251 patients from 2 independent institutions who underwent biopsies between April 1, 2013, and June 30, 2016, at 1 institution and between July 1, 2015, and October 31, 2016, at the other institution. The MRI model included MRI-derived parameters in addition to clinical variables. Area under the curve of receiver operating characteristic curves and decision curve analysis were performed. The researchers concluded that MRI-based prediction models can help reduce unnecessary biopsies in suspected prostate cancer patients and help improve personalized risk stratification.In this cohort study, a prediction model based on clinical and magnetic resonance imaging parameters was first developed in 400 patients and subsequently validated in 2 independent populations of 251 patients. The model reduced the number of unnecessary prostate biopsies while still detecting most clinically significant prostate cancers. 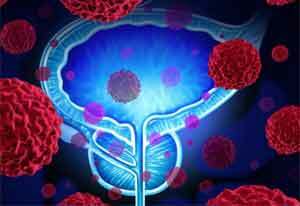 It was inferred from evidence in the study that, while the inclusion of MRI use as a biomarker can decrease unnecessary biopsies, it also helps maintain a high rate of diagnosis of clinically significant prostate cancers. According to the research, the MRI-based model had a lower false-positive rate than the baseline model, and its use could result in performing 18 fewer unnecessary biopsies per 100 men.